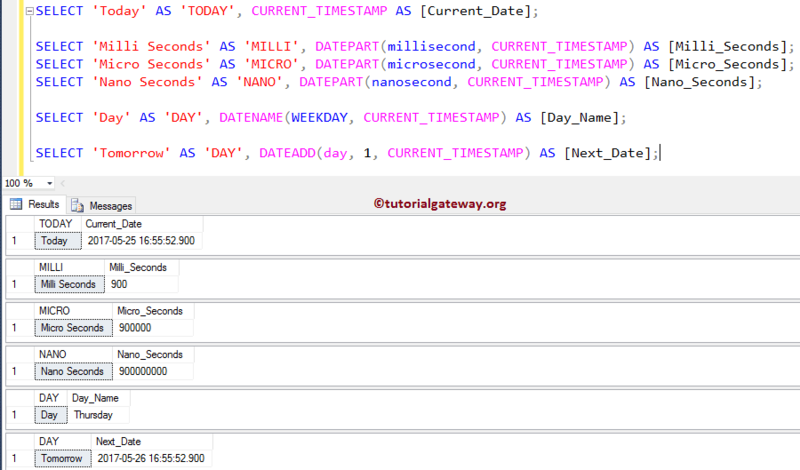 SQL CURRENT_TIMESTAMP function is one of the Date and Time Function, which is used to return the Current time stamp (Date and Time) of the computer on which the SQL Server instance is running. The CURRENT_TIMESTAMP function returns datetime data type, and the format is: ‘yyyy-mm-dd hh:mm:ss.nnn’ (you can see that, the fractional seconds precision = 3). 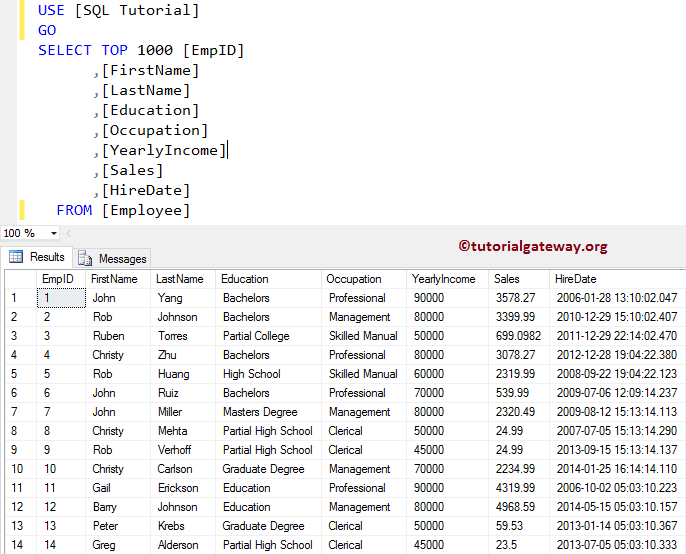 In this example, we are going show you the SQL Server CURRENT_TIMESTAMP examples. 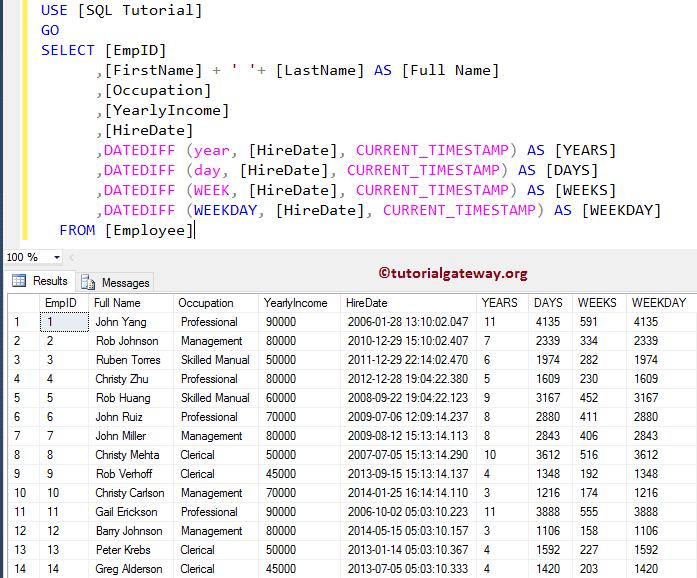 In this example, we are going to use SQL DATEDIFF function (to find the difference between current time stamp, and Hire date) to check for Employee details such as: Which year we hired him, how many weeks he associated with our company etc. From the above screenshot you can observe that, we are finding the difference between the Employee Hire date and current today’s date & time (CURRENT_TIMESTAMP) using the DATEDIFF function. I suggest you to refer DATEDIFF function article to understand the above code.